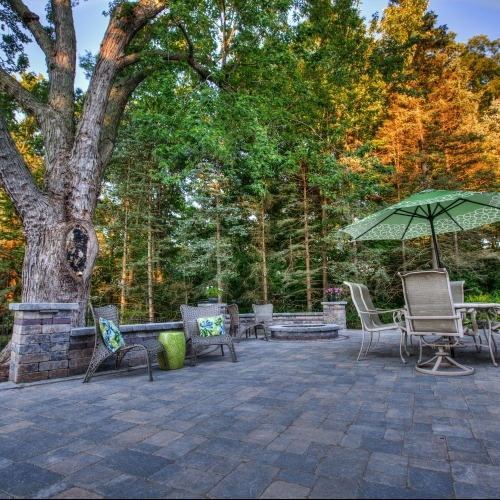 We have a bunch of photos that show off our true brick paving capabilities. Our company is ready to build you a complete patio or, if you already have one in place, we can design and install an awesome addition. 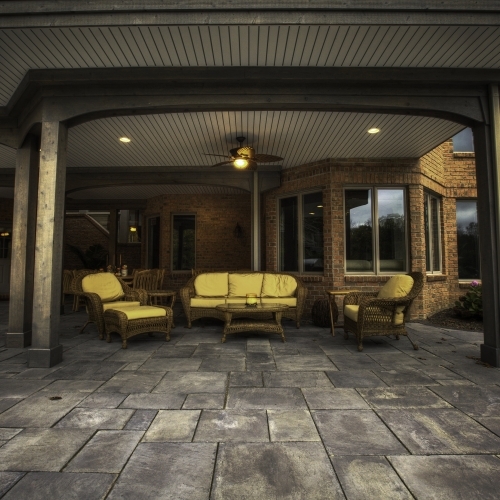 We have many years of experience working with a wide variety of materials and our team has built virtually any type of outdoor structure in South Lyon that you could possibly dream up. From awesome fireplaces to installed grills and kitchens, we really do know how to improve your living space outside. 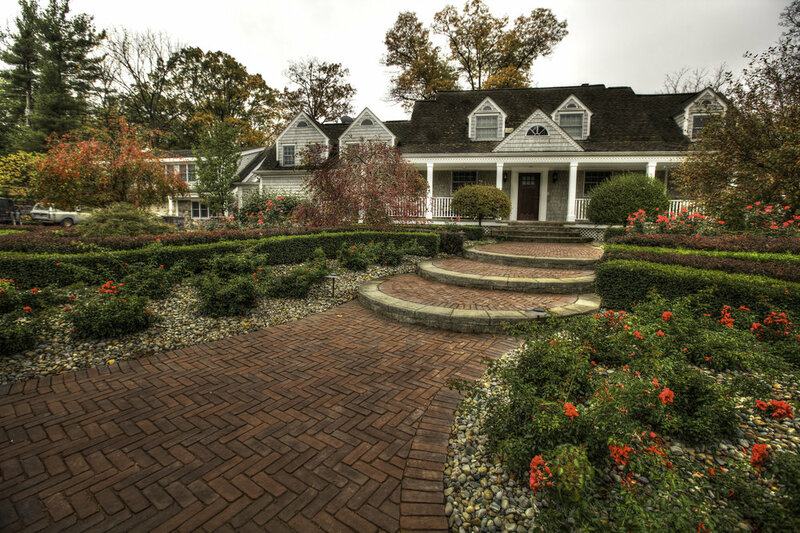 We have been doing brick paver projects for properties in the South Lyon, MI area for decades now, and it is always exciting for us to start working with a new customer. Give us a call today or request a quote online and one of our professional team members will be ready to speak with you about your plans. We can work with you to determine exactly what you want built, what materials should be used, and how the budget and timeline will end up looking. Jason, David, and the entire crew was extremely professional. The quality of the workmanship was outstanding. The landscaping, fence installation, and the brick paver patio and fire pit surpassed our high expectations. You will not get a better job. The staff is trained in their area of expertise, the landscaper isn't the one doing the brick work. You don't typically find that with other businesses. We are looking forward to adding a phase 2 addition to our patio next year. It is hard to find a company that excels at what they do. Congratulations to Todd's for running a top notch business and hiring true professionals. Great job." Our semi-circular pressed concrete porch, our rectangular paver porch, and now the pressed concrete driveway have each added much to the appearance of our home. We are thrilled. Passers-by stop weekly to say "thank you" for adding to the entrance to our neighborhood." I found Todd's Services online. I picked Todd's because you had all 5 stars. I didn't have a personal recommendation. I was expecting nice. I got excellent. I absolutely love the way everything looks. Everyone was very professional and helpful. Would recommend without reservation. " The estimate was timely and thorough The installers were professional, knew their stuff and were very friendly . The brickwork they did was exactly what we were looking for. We are looking to do some additional work and Todd's will be the first place we call. We would definitely recommend your company to friends and family!"